Delivering quality chiropractic care to the Kentwood area since 1982. 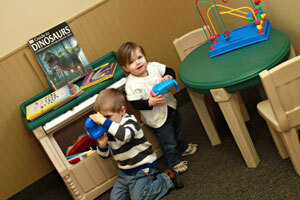 We have a fun kids area where children can play before and after they are seen by the doctor. Here at Wilcox Family Chiropractic our patients tend to regard us as very approachable and sincere in our desire to help them. As a Chiropractor in Kentwood it has always been our main focus to help our patients achieve the results they desired, as quickly as possible. Typically this involves getting patients out of pain, but we also wanted to help those who had chronic conditions of the spine and nervous system, which had not been successfully resolved by any other means. Throughout the history of our practice, we have had a desire to share our unique perspectives on health with the patients who showed an interest. Alternatives to allopathic medicine are not widely available in the Grand Rapids area, so we try to help our patients explore natural ways to treat common illnesses and live healthier lives. This is very important to us! We also offer therapeutic massage, nutritional programs, and posture and exercise programs. We recommend physician grade whole food supplements from Standard Process and Biotics. Our goal is to offer our patients ways to improve their health through natural means as a way to counter the drug-obsessed approach to modern medicine. The patients who achieve their desired outcome quicker and with longer-lasting results are those who follow the recommended treatment plans of their Kentwood MI Chiropractor. Incorporating home therapy recommendations, such as icing and avoidance of certain activities that may irritate the problem area, as well as utilizing the stretching and exercises provided, will further enhance the results. Health is defined as not merely the absence of disease, but the optimal well being of the individual. 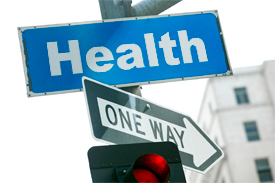 In order to work towards a truly ‘healthy’ society, the focus must change to encompassing a much wider view of health care alternatives and ideas. The results of the prevailing medical model can be seen in the massive buildings under constant construction that house ‘sick’ people. These are needed to clean up the mess that has been created by our woefully horrible diets, smoking, sedentary lifestyles, quick fixes with drug after drug, and the like. There is a better way to live… a healthier way to live… and we deserve to have all available options to choose the best one for us and our families! Sound interesting? Please contact our Kentwood chiropractic office to make an appointment today.